Nicolas Anelka’s future at West Brom is unclear, as despite only moving to The Hawthorns in the summer he is currently on compassionate leave and is thought to be considering retiring from the game. With no Romelu Lukaku to call upon this term, Steve Clarke’s men look slightly light on options in attack. However, a 3-0 win over Newport in the Capital One Cup on Tuesday night showcased the considerable talents of a certain Saido Berahino. The 20-year-old bagged a 36-minute hat-trick in the win and now must be considered for a place in the West Brom starting XI for the game against Swansea at the weekend. 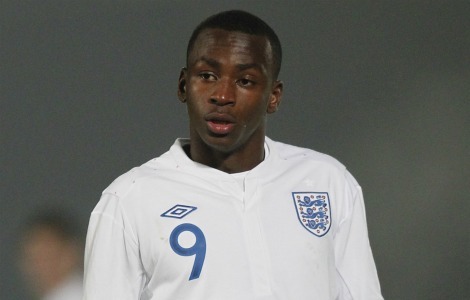 With Anelka absent, maybe it is time for Clarke to give Berahino a chance to shine on the biggest stage. Sir Alex Ferguson remained upbeat after Manchester United were beaten 3-2 at home by Athletic Bilbao on Thursday night, but the side need to return to form and victory when they face West Brom on Sunday. 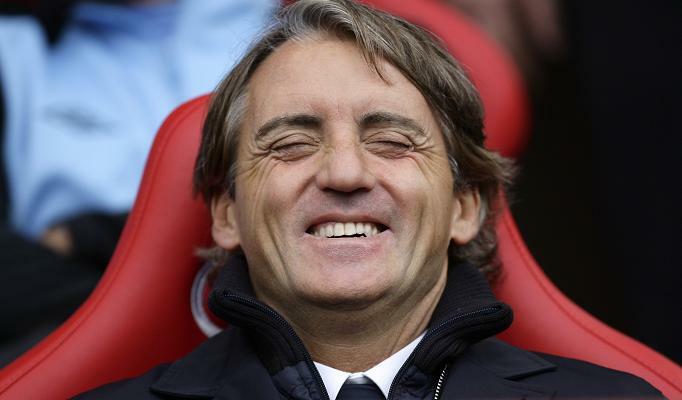 With Manchester City two points ahead of the Red Devils, a win against the Baggies at Old Trafford is a necessity. 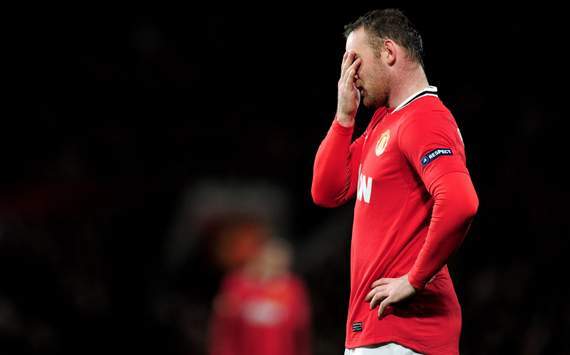 United were second best against Bilbao in the Europa League, with Ferguson admitting that the showing, especially at the back, was not good enough. The club’s European campaign hangs in the balance, and a top performance at San Mames next week will be necessary to salvage the tie against the Spaniards. However, more importantly, the Premier League campaign is entering a pivotal stage and after wins over Norwich and Tottenham, United need to keep their domestic ball rolling. With eleven games left in the league, the race to be champions is set to go down to the wire. City currently hold the advantage, but this weekend may well shift the balance of power. City may well have won their last four games in the league, but they face a tough test this weekend. After an unexpected 1-0 defeat at the hands of Sporting Lisbon on Thursday and travel across to Portugal, Roberto Mancini’s men have to face a Swansea side that have exceeded expectations this term. The Welsh team have been especially dangerous at the Liberty Stadium this season, having beat Arsenal and drawn with Chelsea and Tottenham at home; City could drop points in this fixture if they are not at their best. Regardless of City’s result, United need to get maximum points to keep pressure on their arch enemies. However, with less than convincing performances of late, victory is not assured against a rejuvenated West Brom team. 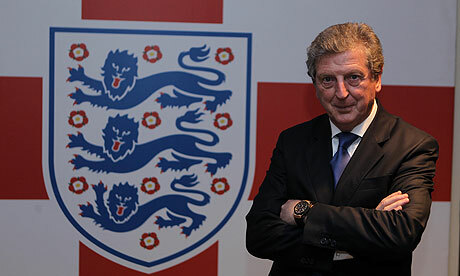 Roy Hodgson has turned the Hawthorns club’s fortunes around over the last month, to the point that he is now being considered in the media as a potential candidate for the vacant England manager post. West Brom have won their last three games in the league, scoring ten goals in the process. A 1-0 win over Chelsea in their last outing saw the end of Andre Villas Boas, and dealt a blow to the Blues’ season. In particular, Peter Odemwingie has recovered form and fitness and will pose a threat to a under pressure United backline; the Nigeria international has scored five goals in the three-match run and is being linked with a move to Arsenal in the summer. All things considered, United should pick up three points against the Baggies on Sunday if they play to anywhere near their best. Rio Ferdinand will more than likely be reinstated to the back four, and the veteran needs to step up and command his fellow defenders. If Sir Alex’s men can solve their issues at the back, they may well be top of the league at the end of the weekend. Carlos Vela : West Brom’s Saviour? West Brom fans may have a new hero in the form of Mexican striker Carlos Vela, who has scored two late equalisers in as many games to salvage two vital points and offer The Baggies a goal-scoring path out of relegation danger. 1-1 draws against Wolves and Stoke mean that the Midlands side sit in 17th and out of the dropzone, instead of in the bottom three as they would be without the gifted attacker Vela. Given the plethora of attacking options at Arsene Wenger’s disposal, 22 year old Vela has had limited opportunities at The Emirates, with his time on the pitch reserved for fleeting brief appearances from the bench, or in the Carling Cup where The Gunners generally play a weakened team. Vela’s goalscoring record for Arsenal has been good given his restricted time on the pitch, returning 10 goals in 29 outings. The stealthy attacker has spent time on loan in Spain at Salamanca and Osasuna, which has developed his career considerably, as has his exposure on the international stage; surprisingly for such a fringe club player Vela has played 33 times for Mexico, scoring 9 goals. Despite not being in the relegation places, make no mistake; West Brom are in trouble and in the thick of a relegation battle. Improved results and an upturn in form for Wolves and West Ham mean there is a real chance that The Baggies will be sucked back down to The Championship and will once more have to go through the hardships of making it back to English football’s top tier. West Brom have been inconsistent this season, but both this time round in the Premiership and their last unsuccessful season in 2008-09, The Baggies have tried to play enterprising and entertaining football. Despite neat passing and long periods of possession at The Hawthornes, WBA have lacked a killer instinct up front and one of their main problems is that they have struggled to convert chances into goals. Enter Carlos Vela. The Mexican has a turn of pace, a deft touch and an eye for goal that can save West Brom from their yo-yo reputation and salvage their Premier League status. To threaten opposing defences for the remainder of the season Roy Hodgson should partner sharpshooter Vela with Peter Odemwingie, and be rid of cumbersome and selfish Marc Antoine Fortune, whose return of a paltry five goals in the league is simply not good enough. For a team to stay up in the Premier League, they will need a frontman to return 10 goals at the very least, ideally 15, which should be enough to amass the 40 points deemed as safe. Both Odemwingie and Vela have guile where Fortune lacks, and their combined pace and ability on the ball suits West Brom’s style of passing football. The fans at the Hawthornes have a new idol, and if West Brom are to avoid the drop Carlos Vela will have an important part to play in their survival. He has already single handedly gave the side two valuable points with his dying minute heroics in the last two outings, and if the skilful Mexican can continue to find the net The Baggies may live to see another season amongst English club football elite. Let’s face it; obviously no-one wants to get relegated, but a relegation scrap can be as exciting as the race for the title, and this year there are an added number of clubs in the mix to be demoted to The Championship. The cost of relegation from the Premier League is a massive one financially and emotionally; a club can lose up to £40 million worth of television money, attendances can drop, your best players will look to jump ship in order to retain Premiership football and well, there’s the heartbreak if you’re a fan of a team that finishes in the bottom three that will spoil your summer. 40 points has been stated as the expected target to survival; so who are this year’s relegation threatened clubs, and what chance do they stand of staying up? 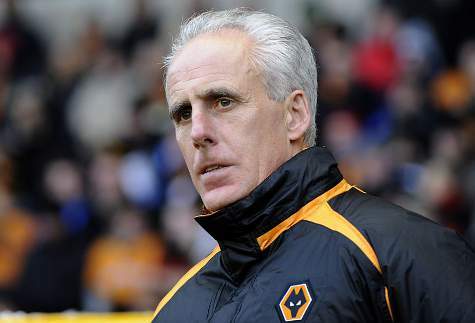 Mick McCarthy’s men sit bottom on goal difference at time of writing on 25 points, and can blame a terrible away record for their current predicament with only one win and five points away from Molineux this campaign. They have looked more of a threat at home, and gave their season a shot in the arm with a historic 2-1 win over leaders Manchester United a couple of weeks ago. Wolves fans will know they missed a glorious chance to steal a march on fellow bottom feeders West Brom in their last outing, the Baggies grabbed a injury-time equaliser. Wolves actually have a fairly good fixture list for the run-in, with only Spurs of the top six teams yet to play. They face Blackpool at home this weekend, and must win if they are to stand a chance of avoiding Championship football next season. The Seasiders have been a revelation in their first season amongst English football elite, with Ian Holloway instilling a passing football mentality and great work ethic to his team. Blackpool started the season well and up to Christmas showed no fear to record some memorable victories. However 2011 has been more of a struggle, and there are signs that Holloway’s men are running out of steam. However the Seasiders caught Tottenham daydreaming of European glory in mid-week, and claimed an invaluable three points that puts a buffer between themselves and the team in the bottom three. They have performed better away from Bloomfield Road than at home, and need a few more wins to secure safety. The game against Wolves at Molineux is an important one, and if they can escape without defeat should be safe. West Ham are a big team in big trouble; they currently are on 25 points and sit one place above Wolves on goal difference. They were bottom at Christmas, which is always an ominous sign, but will be boosted by a good win in the FA Cup in midweek. If they are to stay up they need to win home games, and have six of their last eleven at Upton Park. The defeat at home to Birmingham a couple of weeks ago was a massive blow to their chances, and Avram Grant’s men are staring into the last chance saloon. The fact that the Hammers’ board have backed Grant to lead them to safety should unite the London club, and they have their next two games at home against Liverpool and Stoke, which they need to capitalise on if they want to be playing in the Premiership when they move to the Olympic stadium. Alex McLeish has done an excellent job at Birmingham given the limited resources at his disposal, but the Scot has one huge problem; his team does not score enough goals. The Blues have only found the back of the net 25 times in 26 games and must start converting chances to avoid being dragged back into the mire. Their form at St Andrews should be enough to keep them up, but McLeish will not be able to rest easy until his team win a couple more games. Villa are too big a club to go down surely? Right? Wrong. Gerard Houiller’s men have had a terrible first season post Martin O’Neill and are sitting precariously in 16th on 30 points. The Birmingham club have lacked bite in the final third and some flimsy defending has cost them points, drawing too many games and losing their proud home form from seasons past. Houiller has spent big to bring in Darren Bent in January, and the responsibility lies on him and fellow England men Young, Agbonlahor and Downing to get them out of this mess. Vitally, Villa have still to play West Ham, Wigan, Wolves and West Brom, which should decide their fate. Wigan have been one of the most inconsistent sides in the league this year, at times looking to play good football and young players showing potential to compete at this level, but mostly they have lacked direction in midfield and leaked soft goals. Roberto Martinez’s men are sitting in the dropzone in 18th, and alarm bells must be ringing around the DW Stadium. To boot, The Latics have one of the toughest run-ins, with their next two games against Manchester United and City, and still with Tottenham and Chelsea to play. To stand any chance of survival they must work together to grind out results, which at this stage are more important than the brand of football Martinez wants them to play. Roy Hodgson has taken on a tough test, and will need to utilise all his managerial experience and know-how to avoid perennial yo-yo side West Brom from dropping back to The Championship. The Baggies are sitting in 17th place, one point ahead of Wigan and home draws against fellow strugglers Wolves and West Ham in their last two games have not eased pressure on the club from The Hawthornes. West Brom have a tough run in, and if they are to avoid the drop must continue their relatively strong home record, and will need the fans to get behind them, Adrian Chilles and Frank Skinner included. So in my opinion it will be the three W’s, West Brom, Wolves and Wigan who will face the agony of relegation and the heavy upheaval of trying to wade through The Championship to make it back to English football’s top tournament. A lot will depend on the games the struggling sides play against each other, but this season’s fight for survival should provide a very close and enthralling finale to the 2010/11 season.